Our mission is translating basic academic research into pharmaceutical application. 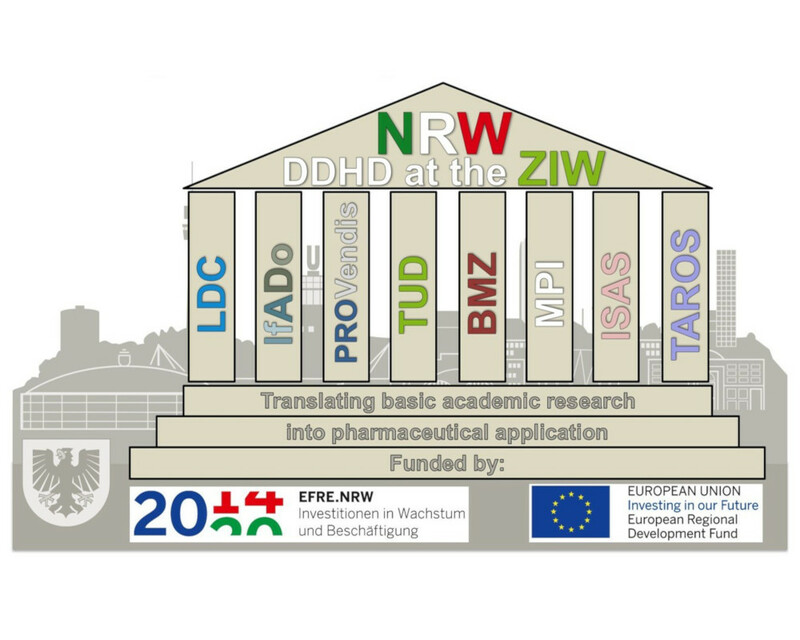 In an approach that is by nature highly transdisciplinary, the DDHD partners with their particular areas of expertise realize the constituent aspects that are essential for successful drug development according to industry standards. 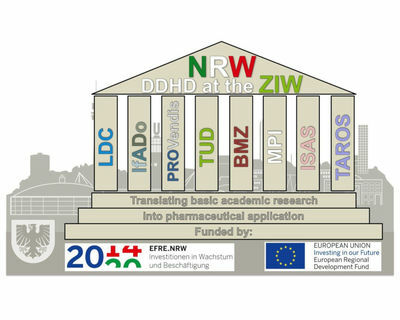 With the help of the DDHD and the higher-level ZIW, these transdisciplinary expert capabilities are complemented and seamlessly integrated to refine academic projects in a targeted and efficient manner. This results in innovative and optimized chemical lead compounds that meet the high standards of the pharmaceutical industry in all areas. These lead compounds are fed back into research as extremely valuable probes for detailed and significant academic studies, and in successful cases, they could be adopted by the pharmaceutical industry and developed to the point of marketability. In the process, the projects to be refined come from universities and academic institutions throughout NRW.